Manufacturer of a wide range of products which include png gas leak detector, lpg gas leak detector, ethylene gas leak detector, flameproof gas leak detector, msr standalone detector for pollution and safety refrigerant gas leak detection devices. PNG (Methane), chemically known as CH4 is highly flammable, lightweight gas with LEL at 5% Vol = 100% LEL. 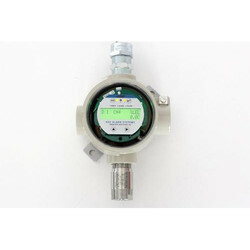 Methane gas detector series is highly robust, industrial grade, flameproof or explosion proof gas detector for methane leakage detection or LEL monitoring. Methane is also available in form as a natural gas, pressurized natural gas (PNG), liquefied natural gas (LNG). The detector is used for online, continuous monitoring of the flammable concentration of methane in %LEL or %Vol terms in ambient air or in duct or pipeline. It is ATEX, IECEX, PESO certified with SIL 2 safety integrity level for hazardous area installation Zone 1 and 2. The sensor transmitter offers linear, proportional analog output in industry standard current signals, over measuring a range of 0 ~ 100 % LEL (lower explosive limit). The detector works on highly sensitive catalytic bead-based pellistor sensor cell, with low response time. It has the unique feature of an auto diagnostic watchdog with zero point tracking feature. Due to its 12-bit microprocessor based control unit, it offers high accuracy over the long term. The detector is also equipped with a sintered filter with flashback arrestor for enhanced safety. 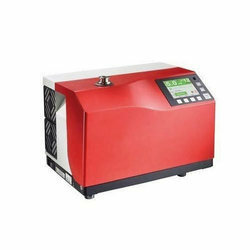 It also offers optional features like inbuilt LCD display, flashing alarm LEDs, onboard potential free relay contacts (24VDC @ 1 A), RS485 serial interface with Modbus RTU communication. Gas Alarm India pleased to offer LPG sensor transmitter / Leakage detector/ Analyser in association with ALVI Technologies- Australia & MSR Germany with following features. 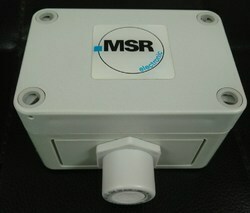 Ethylene sensor for toxic and hazardous oil/gas industries. The polyxeta2 sensor is used in industrial areas like oil/gas industry, biogas plants, petrochemical industry, power plants etc. In ex-zone 1. 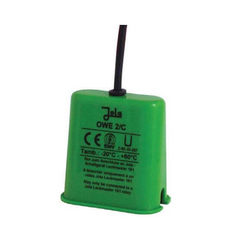 The polyxeta2 sensor is also suitable for commercial are as like gas transfer stations etc. 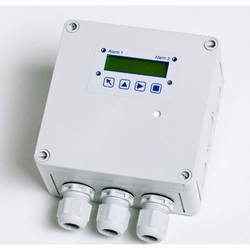 With the 4 – 20 ma / rs485-modbus output signal the sensor is suitable for connection to the polygard2 gas controller series by MRS-electronic, as well as to any other controllers or automation devices. 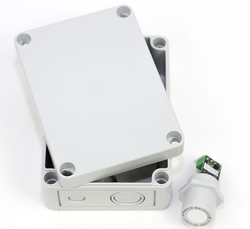 Optionally, the poly xeta2 sensor is also available with lcd display and relay output. Gas Alarm Systems Australia in association with Gas alarm systems India are pleased to introduce MSR Germany, Polygard Gas Detector for Butane, C4H10, LPG. 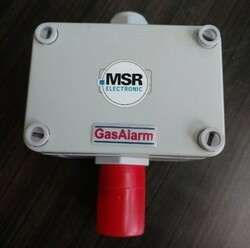 Butane, C4H10, LPG is highly explosive, Combustible gas Gas Alarm India with Gas Alarm Systems Australia have MSR Gas Detector, Gas Analyzer, Gas Sensor, Gas Transmitter under MSR Polygard range to meet world critical safety standards for life and plant protection. Our product range includes MSR micro guard, MA-0-11xx, MC2-E11xx, ADT-x3-34xx, ADT-x3-11xx, SPC-x3-11xx, Polyzeta 2 for hazardous zone 1, zone 2 areas. it has IEC EX, ATEX certification with SIL 2. All products and systems are manufactured in Germany, hence quality and reliability are assured. Gas Alarm Systems - India in association with Gas alarm systems, Australiaare pleased to offer PolyGard® Standalone SPC-X3-11XX for Pollution / Emission Moniotor ,Toxic Polluting gases and vapours including oxygen Detector Sensor. Gas measuring, monitoring and warning controller based on state-of-the-art micro-technology with integrated sensor and internal buzzer for the continuous monitoring of the ambient air and detecting toxic gases and vapours or oxygen. The SPC-X3 is provided with an input for one external analog transmitter. 4 alarm thresholds per sensor/transmitter are free programmable. Configuration and operation are possible via the logical, simple system menu structure without specific programming knowledge. The SPC-X3-TOX is suitable for a wide range of commercial and industrial applications. Free programmable parameters and set-points enable the individual adaptation to a variety of possible applications in the field of gas measuring and monitoring. At ALVI India , we provide reliable sensors, controllers and warning devices for refrigeration leak detection. Our product line PolyGard2 ensures reliable monitoring of leakages at all times and thus protects not only the health of persons but also the operation of the refrigeration systems. The simple Plug Play sensor technology (X-Change) also allows you to save time and costs for maintenance significantly. The sensors are available for all common refrigerants. 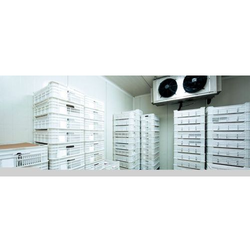 The door-entry modules provide maximum safety in addition: If the gas concentration increases in closed buildings, for example in cooling rooms, the doors can only be opened in one direction: from the inside to the outside. This ensures that people can only move out of the hazardous area, but they can never move in. 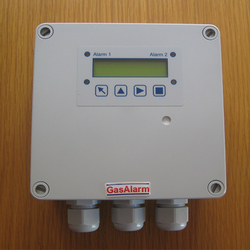 At Gas Alarm Systems, we develop and produce perfectly matched sensors, controllers and warning devices, which can be combined in many ways into high quality gas warning systems. Optimum protection for people and installation is thus ensured in enclosed areas in critical situations. Due to the individual configuration and the flexible integration, solutions our refrigerant leak detection system is used worldwide in a variety of applications. Model: SSP (for standard application, for light current application), for use in intrinsically safe circuits in mines susceptible to firedamp or in potentially explosive atmospheres in categories zone 1, 21, 2 or 22. 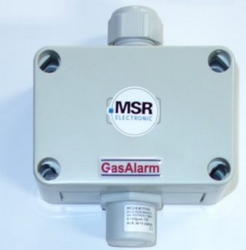 Gas Alarm Systems India in association with Gas Alarm Systems Australia offer MSR Germany SPC-23-3440 Single Point Controller for Hydrogen.